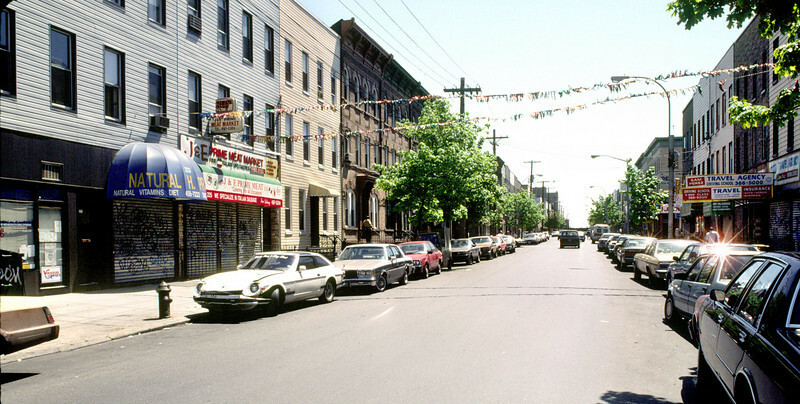 A late Sunday morning on Wyckoff Avenue, May 5, 1991. J&E lies dormant in the sun. Facing southeast.